Not a bird this time, but a beetle that makes bush walking painful to the ears in the summer months around Sydney. 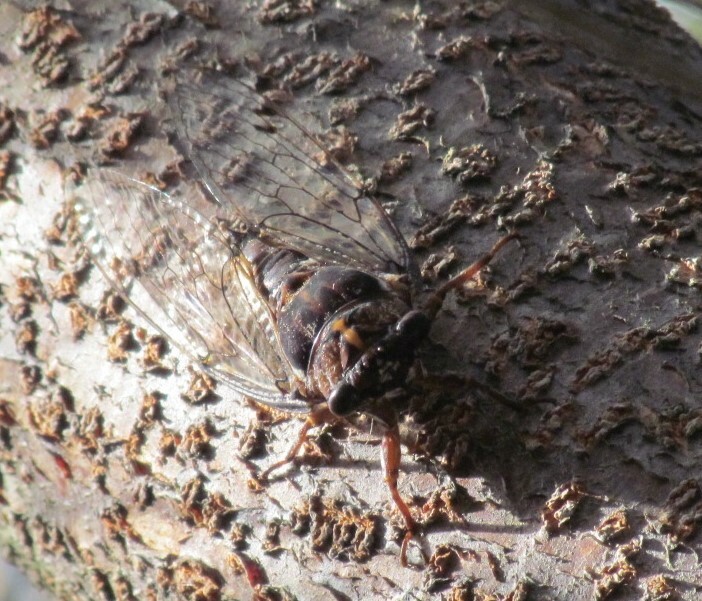 The piercing noise of cicadas is familiar to most Sydney-siders. In this video, you can hear them all round you, and see one close-up pulsating its abdomen to make the noise. An interesting fact: The adult cicada is the winged insect we see, and it lives for only a few weeks. But the nymphs, which are the form of the creature that hatch from the eggs, live for around seven years, underground. 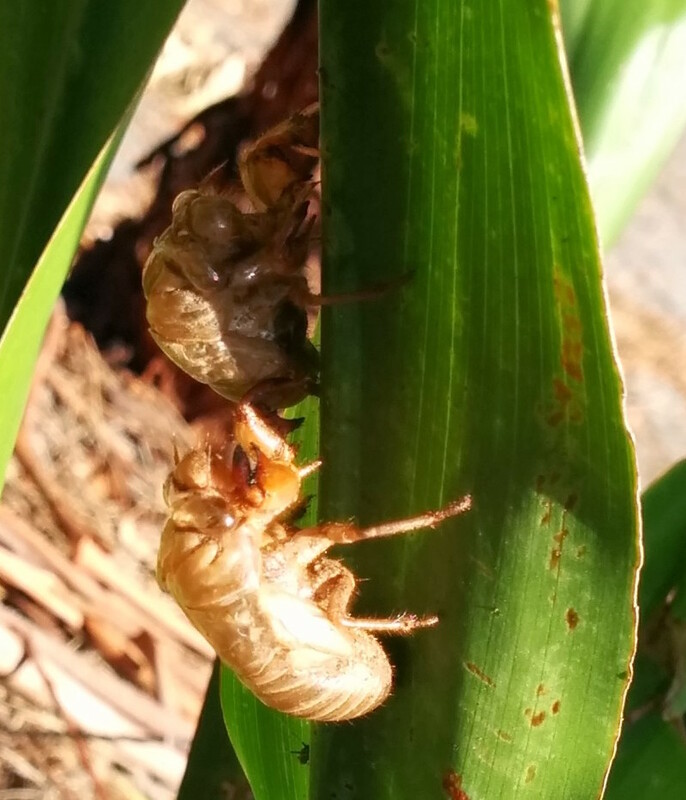 Posted on 2017/01/01, in Not a bird and tagged cicada, cicada husk, sydney. Bookmark the permalink. 6 Comments. Your video of the cicadas brought back memories for me of growing up in Sydney. Those cicadas were deafening! I remember as a kid finding “green grocer” and “black prince” cicadas in the backyard. Here on the Gold Coast where I live now, there are some cicadas around but nowhere near that noisy! Hallo Sue, I’ve only seen a green cicada once, and that was a bit sad because it was actually half a cicada, still buzzing around after an encounter with a bird. 😦 I put it out of its misery. Looking forward to seeing a whole one sometime. They look beautiful in pictures. Lovely blog Sarah. I think your cicada is a Floury Baker, Aleeta curvicosta. Unlike most cicadas, they typically sit head-down when calling. Well done to capture the video of it. Hehe, it’s like when people reverse photos of cockatoos feeding – makes them right-footed instead of left-footed! Thanks also for the follow. I look forward to more of your posts.